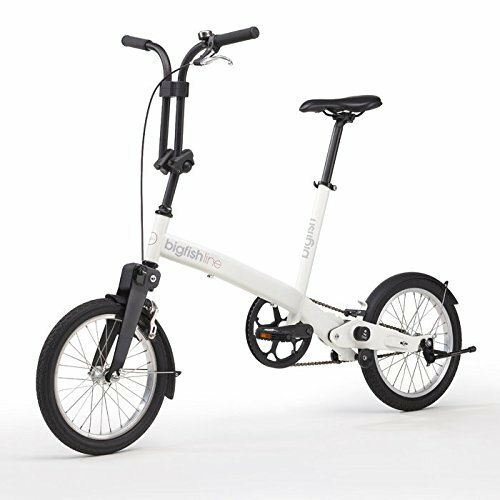 There have been folding bike frames before, but none have taken slim, compact design sensibilities to the level of the BigFish Line 3 Speed Nexus CN4. And it won’t take a lot of work to switch from its storable to rideable set-up because the collapsible bicycle features an innovative quick-release button. The seat and handlebars easily adjust to accommodate riders of various sizes. To suit classic, clean, and modern sensibilities, the Speed Nexus CN4 is available in black, white, and orange. And the whole thing weighs in just under 30 lbs. A few years ago, it was pretty exciting to be able to wear a fitness tracker or use an iPhone tracking app to collect personal data. It’s now easier than ever to estimate how many calories you’ve eaten (or overeaten) at lunch or burned while lifting at the gym, but what’s the future of personal health technology? 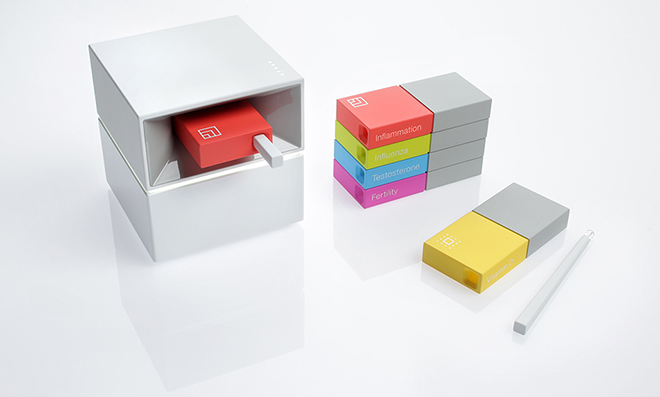 The Cue Health Tracker System points the way, allowing you to measure and track health markers at a molecular level. 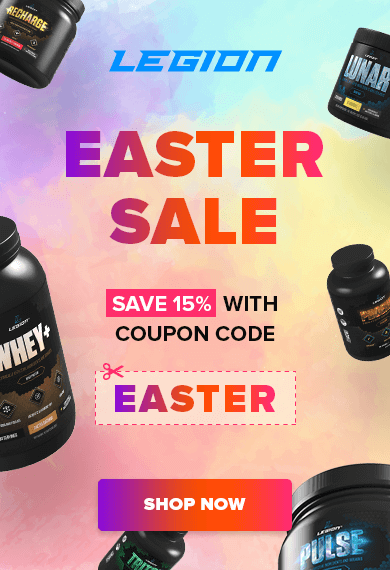 It targets areas of opportunity in your activities and general well-being, looking closely at five key health indicators like inflammation, vitamin D, and testosterone. Collect a tiny sample of blood or saliva, slide it into the Cue cartridge, and your results will be sent to your smartphone via Bluetooth. Need good nutrition on the go? 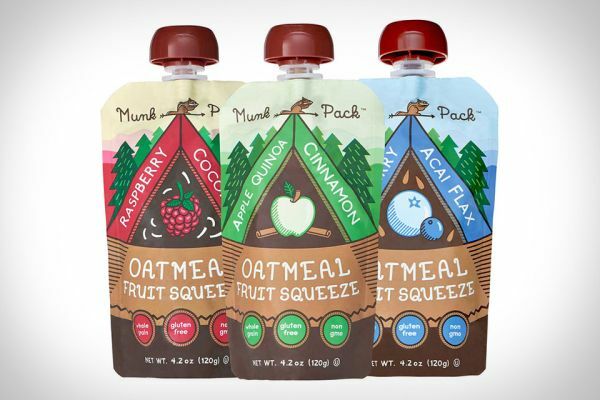 Try Munck Pack Oatmeal, which comes in fruit-infused squeezable pouches. The three flavors – Apple Cinnamon Quinoa, Blueberry Acai Flax, and Raspberry Coconut – are also great for kids because they’re all-natural, packed with fiber, and have real fruit chunks. No refrigeration is needed, so you should stash these squeezes all over: in your gym bag, your car, your kids’ backpacks, and your desk drawer. Polaroid may seem like a thing of the past, but instant pocket-sized selfies are never going to go out of style. 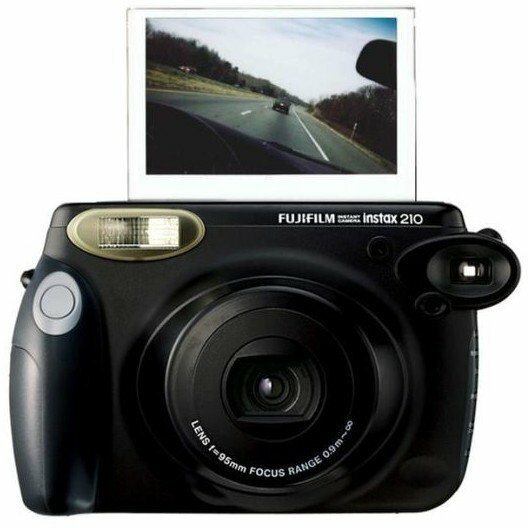 The Fujifilm INSTAX 210 camera is the high-tech cure to your nostalgia. It’s ideal for parties or special occasions like weddings, where guests can snap a pic and create vivid, high-quality prints almost instantly. The on-the-spot photo printing may be reminiscent of Polaroid, but the camera itself is digital with an LED display. The Fujifilm INSTAX also features automatically adjusting flash, high-res retracting lens, and old-school push-button operation. If you’re a business owner or executive, or an aspiring one, you need to read this book. It will completely change the way you look at business, work, and, likely, life as well. Most people–myself included–make several bad business assumptions: 1) money is the primary motivator for employees; 2) if you keep customers satisfied they will remain loyal; and 3) investors are like employees–they just want to get paid. This book systematically debunks these myths and shows how a business model built on purpose, customer experience, and employee satisfaction trumps the hidebound “factory mindset” financially and is just a hell of a lot more fun and fulfilling. 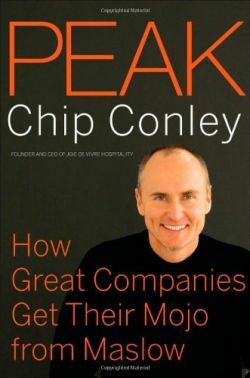 The author, Chip Conley, is the CEO of the hugely successful boutique hospitality company Joie de Vivre, and this book is part memoir, part theory, and part practical. It tells the story of how his company not only survived the post-dot.com and post-9/11 desolation but used it as a springboard to rise to the top of its industry both in terms of revenues and employee and customer retention and satisfaction. The book’s theory is built on psychologist Abraham Maslow’s famous hierarchy of needs, which postulates that all human needs fall into three categories (basic needs like food and shelter, the need for belonging, recognition, and self-esteem, and finally, at the top, the need for “self-actualization,” or the need to realize one’s full potential). Plenty has been written about Maslow’s hierarchy but where this book shines is Conley’s simple, practical insights into how you can use the principles to get real results in your business and work. This book isn’t a academic exercise–it’s a handbook written by someone who spent a decade walking the talk and it’s meant for immediate application.